Any substantive attempt at reforming the immigration system of the United States must pass through Congress, an institution whose recent reputation for hyper-partisan brinkmanship leaves many observers doubtful that the legislative battle will be anything but easy. And few other policy debates incite such charged emotions. Governors of the southwestern states clamor for the federal government to better protect the southern border, as fears rise that the violent drug wars in Mexico may spill over. American businesses of all sizes complain that the current visa system is too cumbersome and impacts their ability to recruit talent from abroad. Children born in this country but whose parents are undocumented protest that the current deportation policy is tearing their families apart. Ultimately, the debate is one on the future welfare of the people of this country: both documented and undocumented. These photos seek to convey all facets of the debate as it labors through the legislative process. The summer of 2014 presented an unexpected crisis as reports of unaccompanied children from Central America crossing the U.S.-Mexico border swelled. 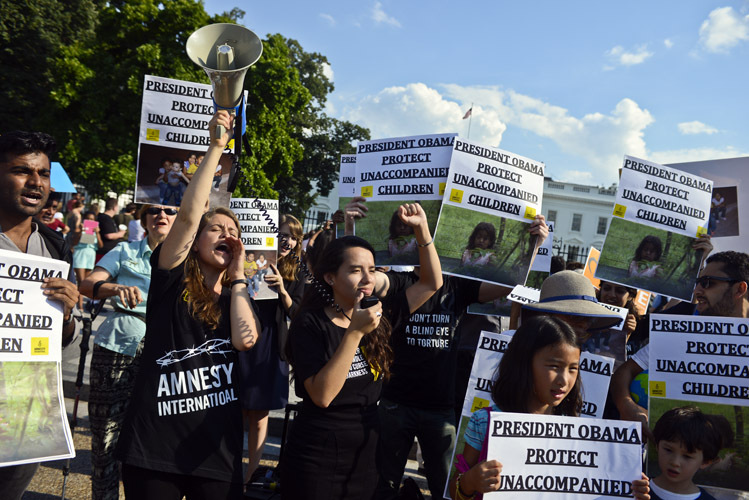 Demonstrators protest in front of the White House, demanding that the Obama Administration provide shelter and greater protections to the growing number of migrant children being held by federal officials. 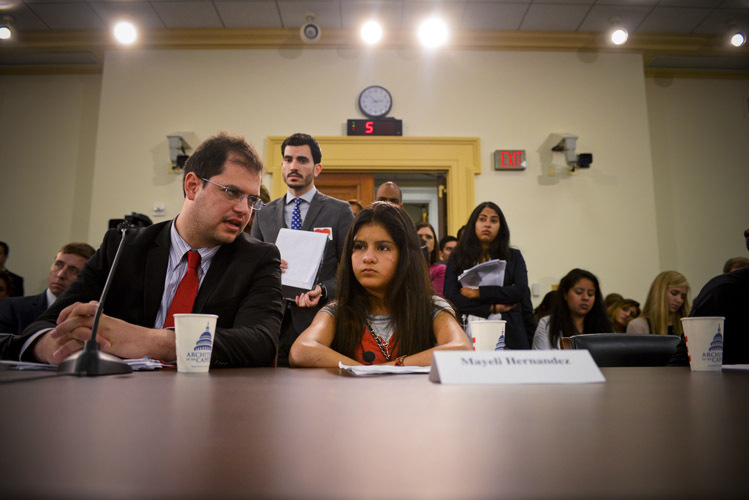 Mayeli Hernandez, a twelve-year-old from Honduras, testifies before Congress, describing the violent conditions at home that compelled her to make the dangerous journey through Mexico to the United States in search of safety. “...It was very ugly to see the blood running on the ground," she tearfully recalled with the help of a translator. 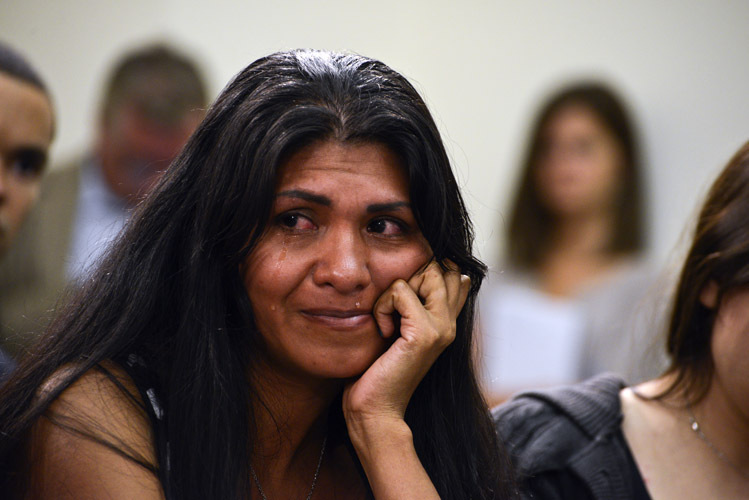 She was one of three children to testify that day, and much of their family sat in the back during the hearing. Many began to cry as they listened to the children recount the struggles they endured – much of it related to gang violence. Ultimately, many of the unaccompanied minors were reunited with family arrived living in the U.S. or provided shelter in the meantime. 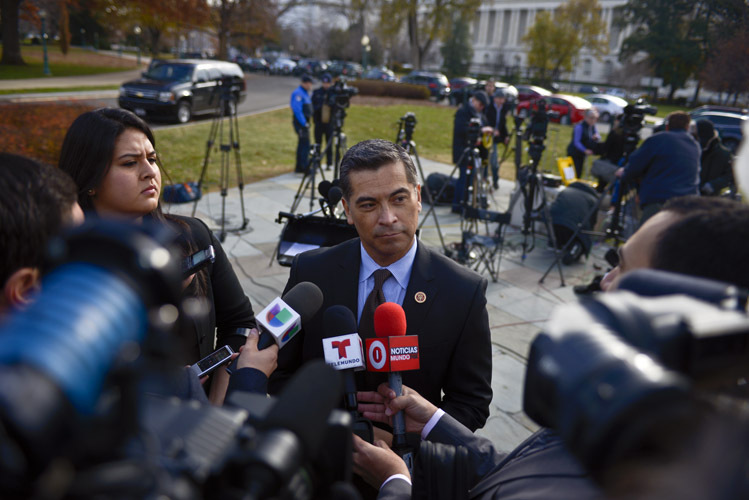 Rep. Xavier Bercerra, the Chairman of the House Democratic Caucus and highest-ranking Latino in the party, speaks with Spanish-language media outlets. He declared Democrats’ unfettered support for the President’s recently announced executive actions on immigration, which expanded the number of undocumented people eligible for deferred deportation as well as ordering immigration enforcement agencies to focus on criminals. 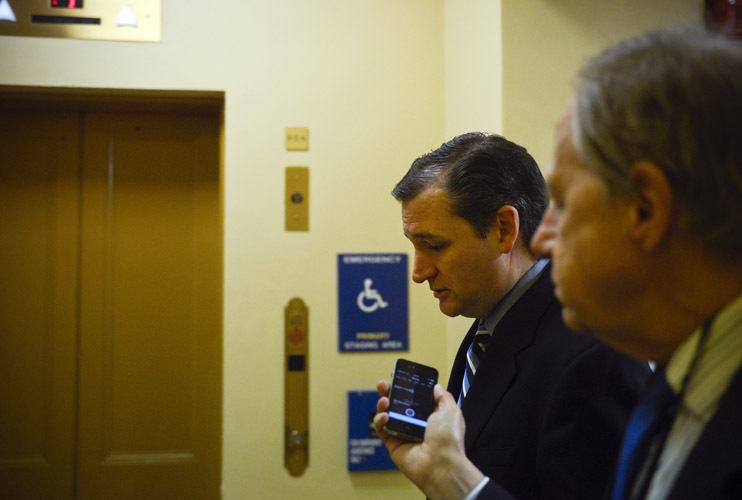 Sen. Ted Cruz, one of the most ardent opponents of the Obama Administration’s immigration policies, speaks with a reporter on his way to the Senate. Cruz is open about his willingness to use any strategy – no matter how unpopular – to reverse the President’s actions. For example, Cruz expressed his readiness to risk a shutdown of the Department of Homeland Security or his call to reject Loretta Lynch’s nomination as attorney general because of her support for Obama. 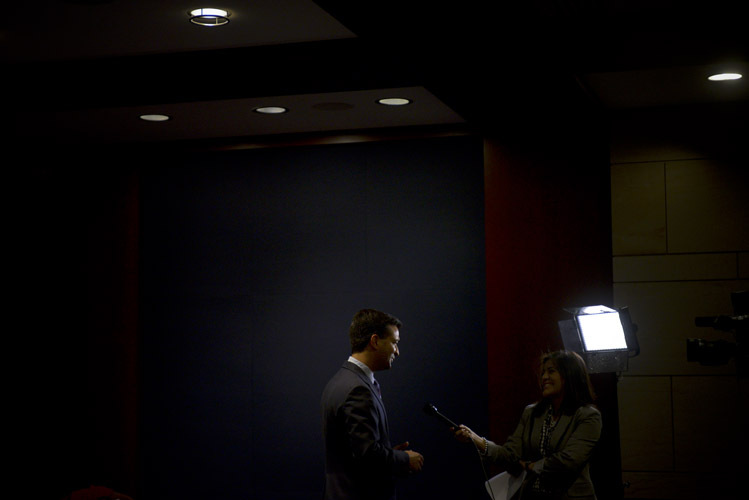 Rep. Carlos Curbelo, one of the newly elected Republican freshman of the 114th Congress, is pulled aside for an interview with before the start of the freshmen orientation session. Many of Curbelo’s views on immigration, such as his support for a path to legalization for the undocumented, puts him at odds with many in the Republican caucus. He expressed optimism that he could help get immigration reform passed. With funding for the Department of Homeland Security scheduled to run out, the House scheduled legislation that funded the department with amendments that gutted Obama’s immigration orders. During a press conference with House Democrats, Isabel Aguilar passionately implores the House to a reject any attempt to block the deferred deportations. 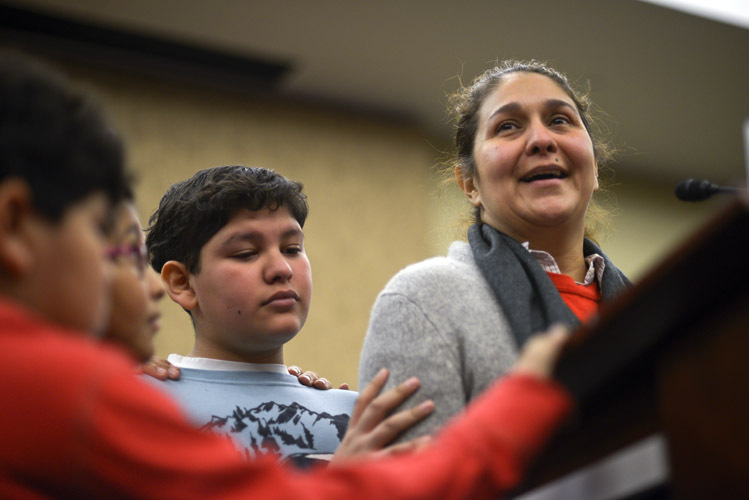 She stands with her three children – Emillo, Miranda, and Adolfo – whom she brought to the United States illegally and would benefit from a change in policy. 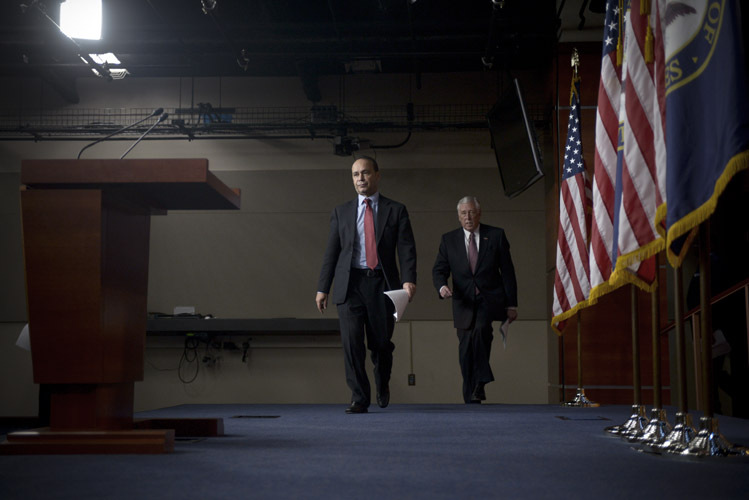 Rep. Luis Gutierrez and House Minority Whip Steny Hoyer arrive before reporters, castigating Republicans for their willingness to shutdown the Department of Homeland Security over their objections to the Obama Administration's immigration actions. Gutierrez pledged to continue community outreach and make sure that those eligible for deferred deportation come forward, regardless of a recent judicial ruling that appeared to postpone enactment of the policy.